I acquired this little gem some time back, and have been meaning to share. The very best thing about Filmcritic magazine is its editor VN Nayyar’s virulent hatred of Baburao Patel, the man whose magazine he has completely—and apparently shamelessly—plagiarized (but without the wit). 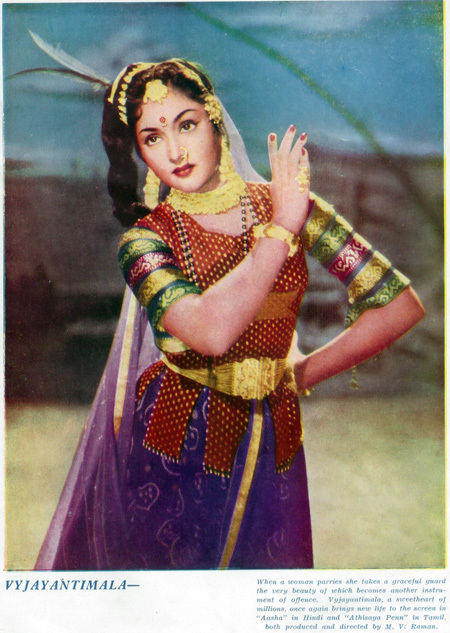 The best thing about the Filmindia magazines are these color pages (two in each). 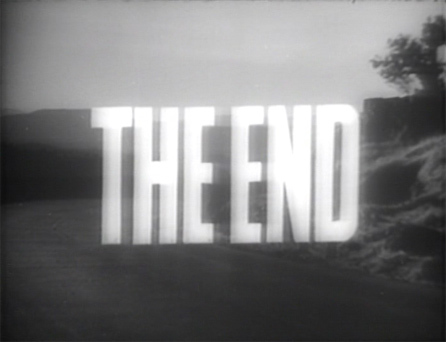 After reading a fine review of this movie over at Dusted Off, I had to see it. 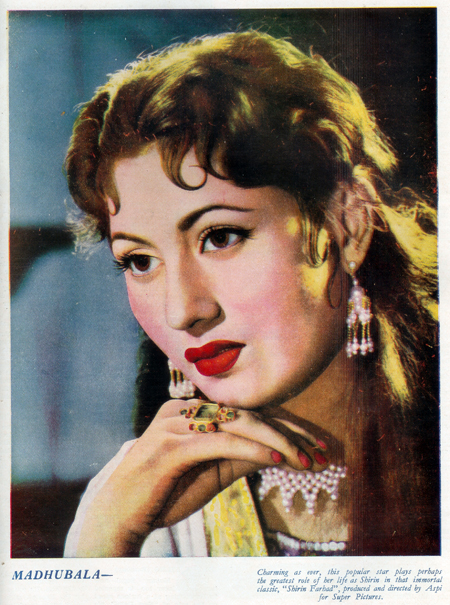 Nargis’ last film! Young Feroz Khan! Laxmi Chhaya! Ted Lyons & His Cubs! And truly it is an interesting and fun filmi noir, dominated by a fine performance from Nargis as a woman with a split personality. The music by Shankar Jaikishan is absolutely fabulous. My favorite song from the film is the lively “Awara Ae Mere Dil”—it’s going to be in my head for a few days, I can already tell. It’s picturized on the lovely Laxmi (it’s one of my picks for her top 10 songs) with my favorite band providing the music. 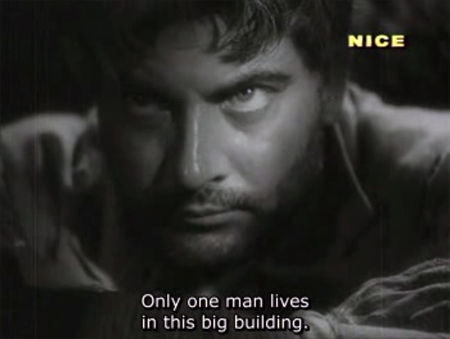 The main quibble I have with the film is that it’s a Criminal Waste of Young Handsome Feroz—but hey, at least he’s there! This bloodthirsty Mughal historical directed by Mehboob Khan is replete with bristling mustaches, glaring eyes and more talk of swords, vengeance and honor than you can shake a stick at. The sets and costumes are sumptuous, and the histrionics entertaining, if somewhat theatrical and drawn out at times. 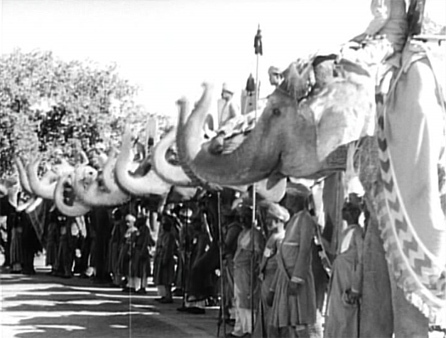 Cecil B DeMille apparently wrote in a letter to Mehboob Khan that this film was “a masterpiece of lighting composition.” It is, it is! 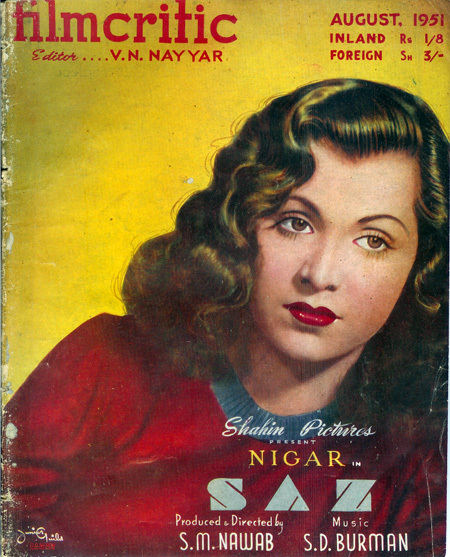 And Nargis was only sixteen when she starred in it; it was her third film as an adult. I was so f*ing happy to see these words. An alternate title could be When Bad Things Happen To Good People. 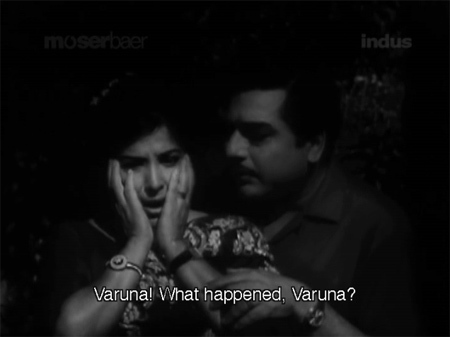 The denouement has Dilip Kumar stabbing his own eyes out. And up until then it’s nothing but misery, suffering and pain. I will say that it is a well-crafted film, with superb performances—especially by Dilip Kumar and Ashok Kumar. But for a girl who already worries too much about eight dollar cups of coffee and what the world is coming to it’s unredeemably depressing. Sanni recently posted about her five favorite heroine roles in Hindi films. What a great idea! I am shamelessly stealing it. Hindi films are of course generally more about the hero(es) than the heroine. And by generally, I really mean always. But there are some performances that transcend that handicap, and also there is the occasional heroine-centric film made. So here are my favorite roles and the actresses who brought them to life, where the heroine manages to hold her own against—if not completely outshine—the hero.